Because of the time difference we decided that I would have night school with my children and Jonathan would have his kids in school normally. 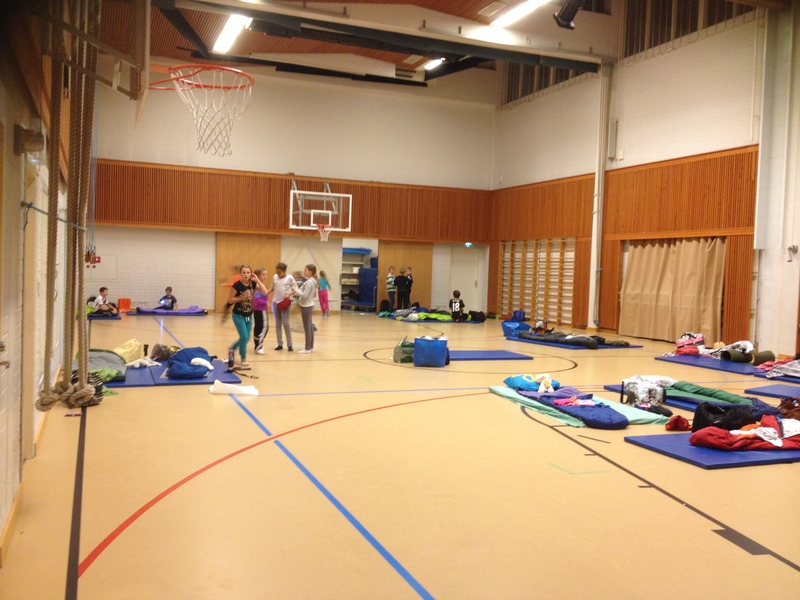 My kids got super excited about spending the night in school and had a long wait from August to November 19th. 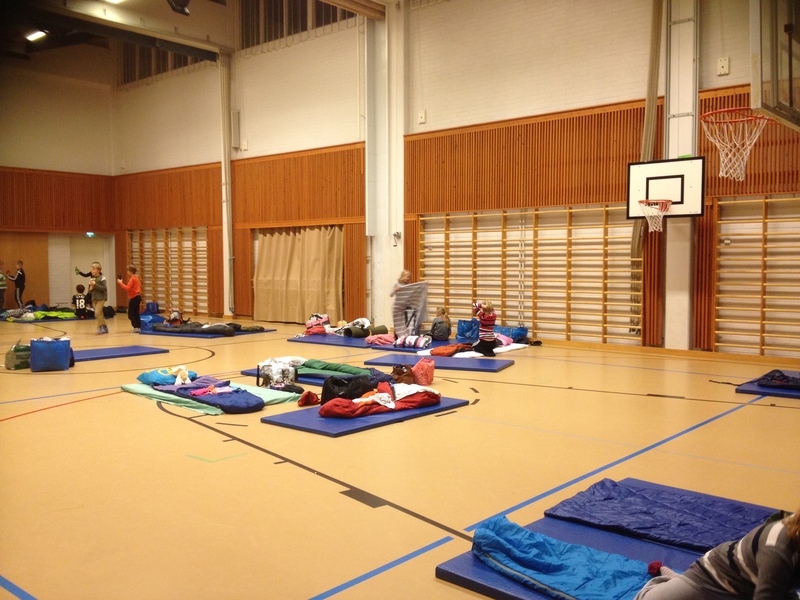 We also had to have the fire department come in and check the premises so that they were safe for sleeping over. My kids first had a normal day at school and then returned to school at 17.00. 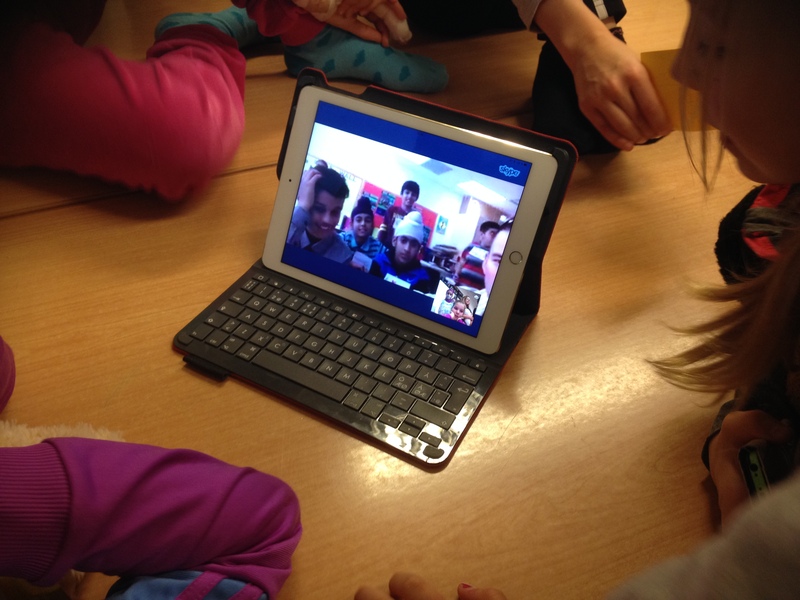 The level of excitement was touchable 🙂 At 18.00 we used Skype to contact Jonathan’s class. 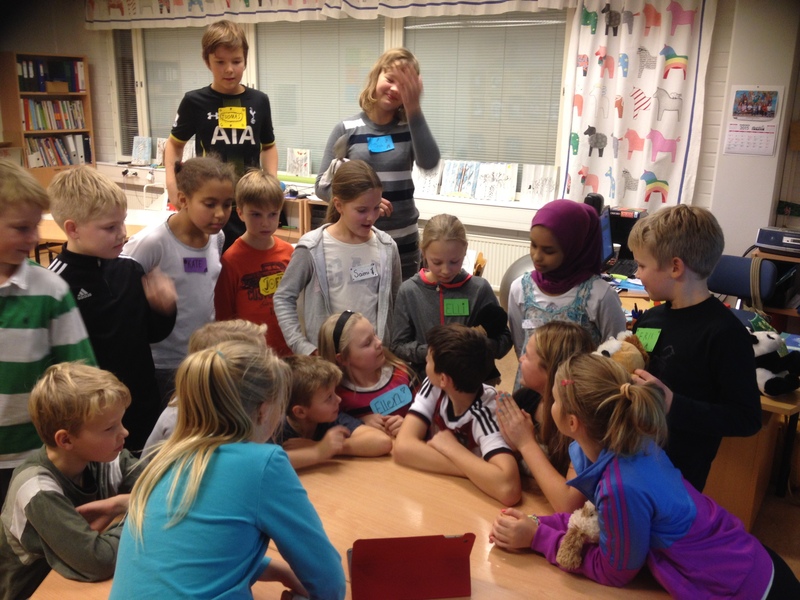 We had some technical problems in my class -of course- and ended up with 18 children around an iPad trying to see and hear. In the beginning the kids had to try to figure out where the other class was located at. Asking questions like: “Do you speak French?”, “Do you play ice hockey?”, “Is it Germany?” they quite quickly figured out where the other class was at. Then everyone introduced themselves by telling their name and an interest of theirs. A lot of giggling and laughing and excitement and 1 hour later we were done. Jonathan’s kids went to French class and we went to computer class. I had created an Edmodo group for us before hand. Jonathan had sent us a video of their school. A video the kids had filmed earlier that day. My class watched it and commented and after posted lots of question about school life in Canada. Now we are eagerly waiting for responses. 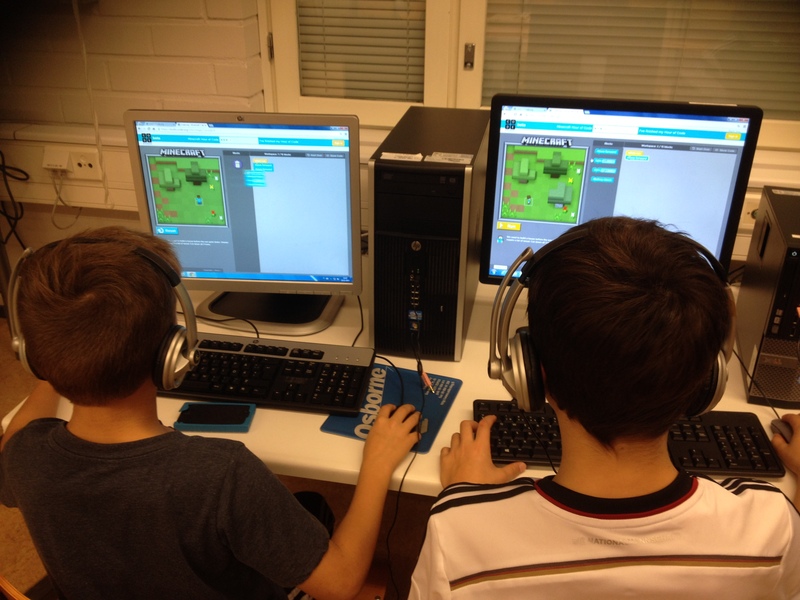 After Edmodo we took a head start on Hour of Code. code.org has launched two new coding hour -exercise. 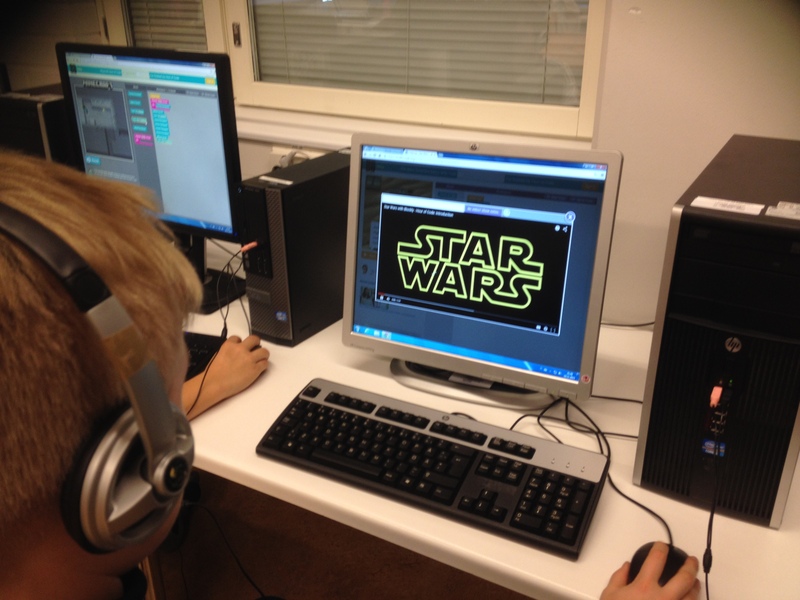 One with Minecraft and the other with Star Wars. My class worked intently with which ever one they chose to do. The night was long and one needs food. 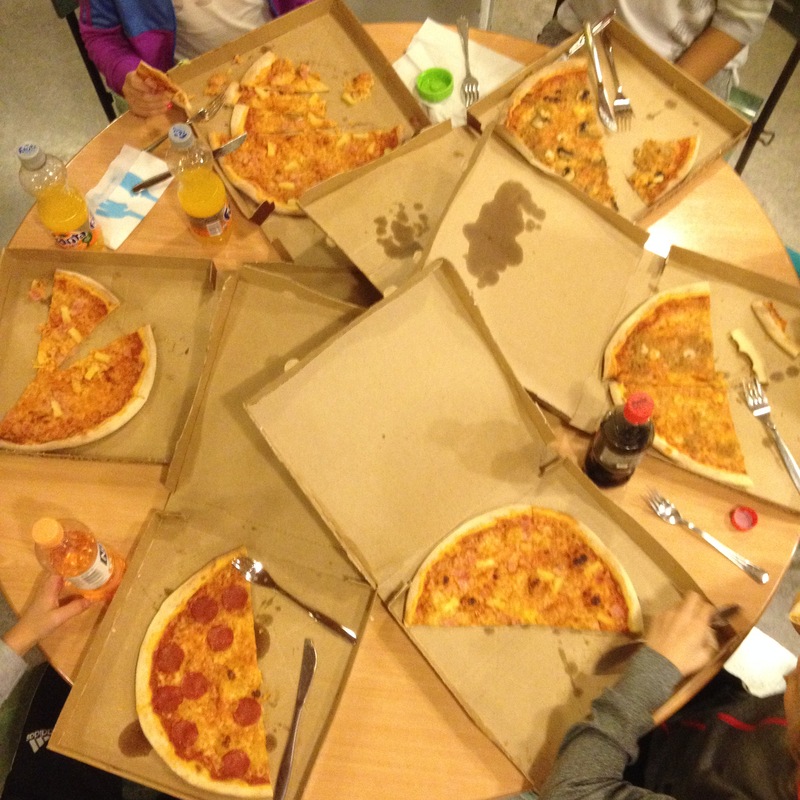 Pizza at school was a treat that we seldom have. 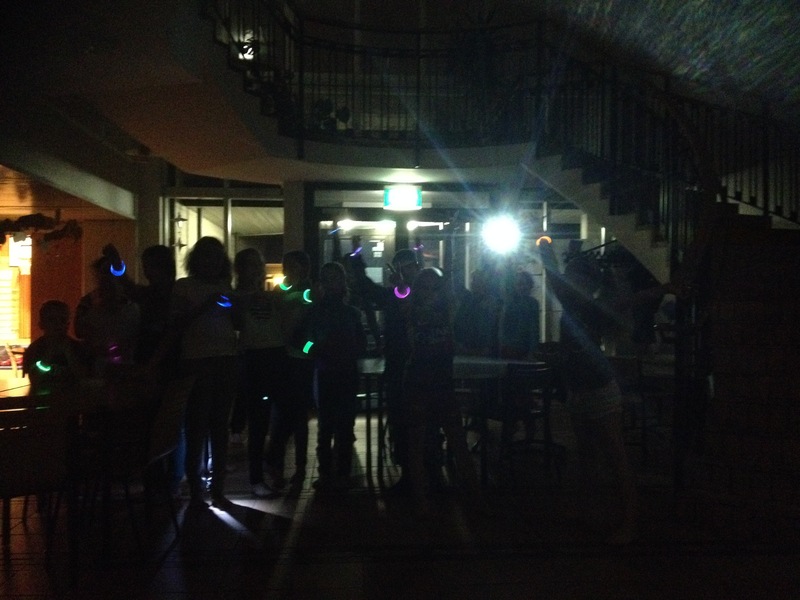 At 22.00 we were ready for what turned up to be the most exciting thing about night school: A game of police and robbers. The 2 police had flashlights and the robbers each had a reflector of some sort. The school was totally dark and you had permission to run down the dark corridors. Even though we extend the time twice it ended up too soon. I had 19 very sweaty kids on my hands. Everyone quieted down quickly and even the teacher slept quite well. 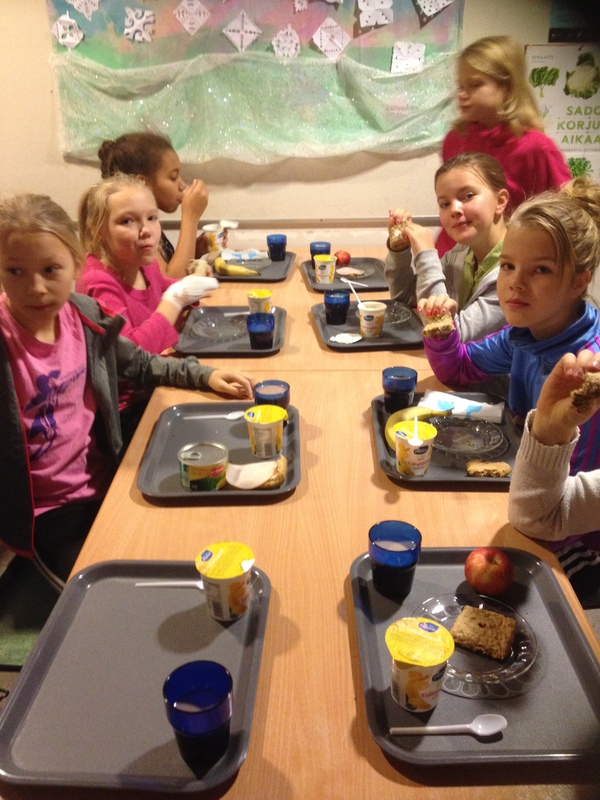 In the morning we had a breakfast prepared by our kitchen and got ready to go home as the others were just arriving to school. Collaboration with Jonathan and his class has now officially started. Stay tuned to what we do next. This entry was posted in Uncategorized on November 22, 2015 by anukahri.